Haryana Space Applications Centre in Haryana Agricultural University campus has been monitoring the entire state through satellite. 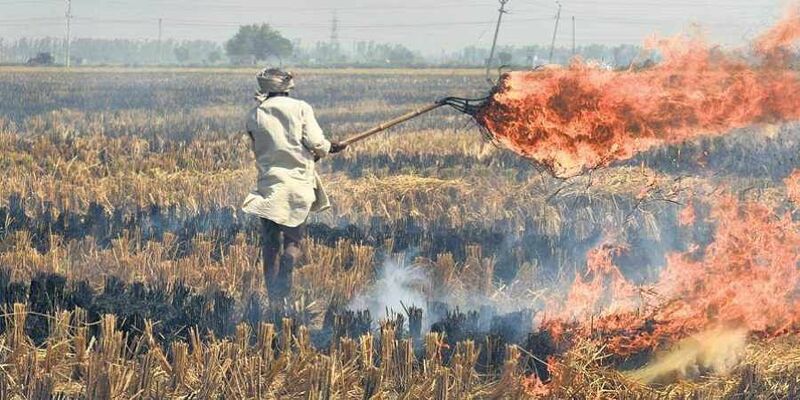 CHANDIGARH: The Haryana State Pollution Control Board has got registered a case against one person and recovered Rs 45,000 as fine from 12 farmers for burning crop residue in Hisar district. Stating this here today, an official spokesman said that last year, 122 cases were registered of burning crop residue during paddy season. He said that now no farmer can burn crop residues in the state. Haryana Space Applications Centre in Haryana Agricultural University campus has been monitoring the entire state through satellite. If any incident of crop residue burning takes places in any area, it would come to notice through satellite and the team of Pollution Control Board would get registered a case against the guilty after carrying out physical verification of the area. He said that the Agriculture and Farmers' Welfare department has been providing different agricultural implements for crop residue management at a subsidy of 50 to 80 per cent. Instead of burning the crop residues, the farmers can mix the crop residues in the soil to improve the fertility. He said that burning of crop residue not only causes pollution but also affect the animals, birds and human beings. For crop residue management, the farmers can contact the Agriculture Development Officer concerned. Apart from this, the state government has also been organising awareness camps on crop residue management, he added.